Would you like to verify your WPForms license? Verifying your license key will provide access to automatic updates and support, completing the installation process. 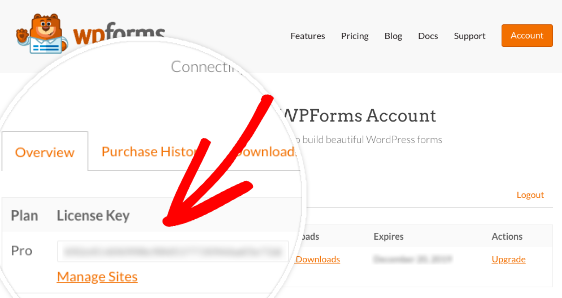 Before we get started, be sure to install the WPForms plugin on your site. Note: If you’ve just upgraded from WPForms Lite, you’ll first need to install our separate, paid plugin. Please see our tutorial on how to upgrade from WPForms Lite for the full details. Once you have installed and activated the plugin, you will need to enter your license key in the WPForms Settings. You can do this by going to WPForms » Settings inside your WordPress Dashboard. 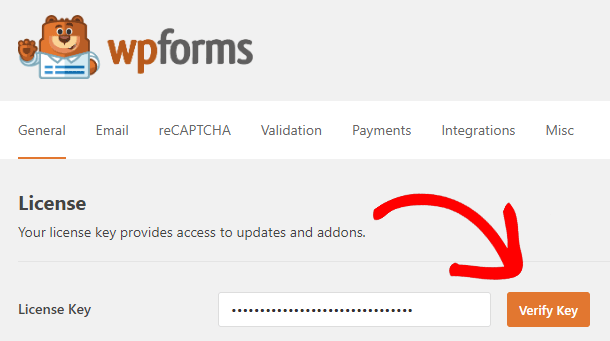 To access your license key, you must be logged into your WPForms account. Once you log in, you will find your License Key on the main account page, as shown below. Copy that key and add it into the License Key field in your WPForms plugin settings. After that click on the Verify Key button, and your license will be added. 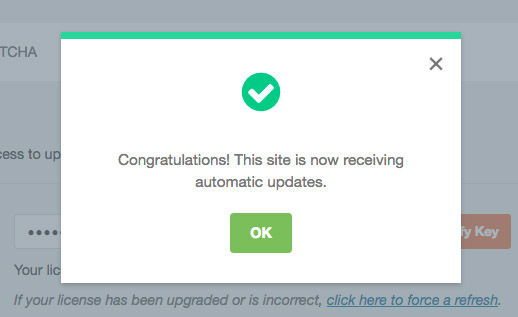 You will see a notice letting you know that your site is receiving automatic updates. Below the License Key field, you should now see a note with your license level. Congrats! 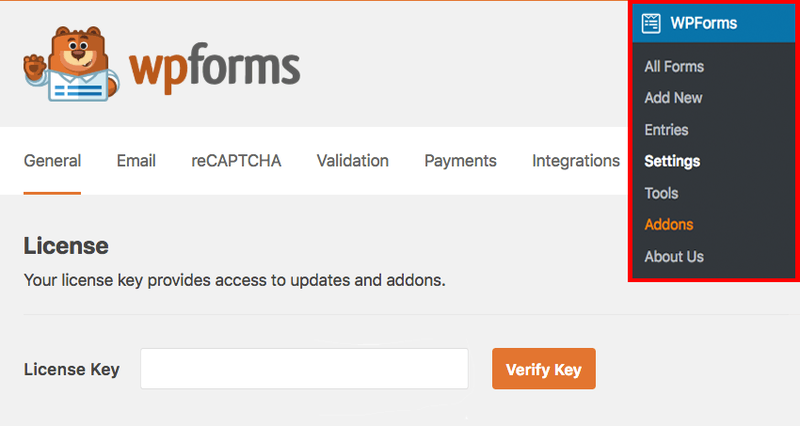 Now that your license is verified your site will receive automatic updates for WPForms. Next, be sure to check out how to create your first form or make your forms more powerful with our ‘smart’ conditional logic.